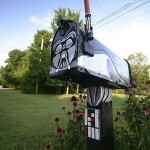 The closest thing I have to a mailbox is a whole in my front door for the mail to fall through onto the floor inside. 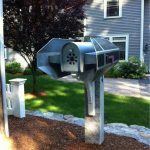 If my neighborhood was one where people used normal mail boxes and didn’t have kids that would likely cause problems with them, I would want to have a geeky mailbox like this awesome Star Trek mailbox which looks a lot like the Enterprise. 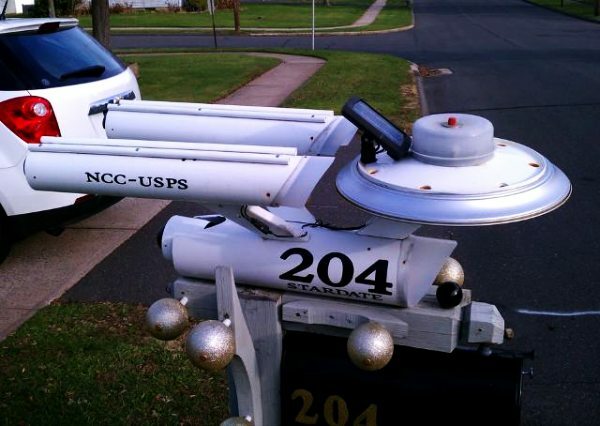 This solar powered ship lights itself up at night, something I am sure the postal carrier loves during the winter. 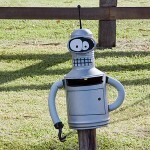 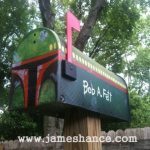 This awesome mailbox was made by somebody going by the name ModXMV and its safe to say they got substantial geek cred with this build.